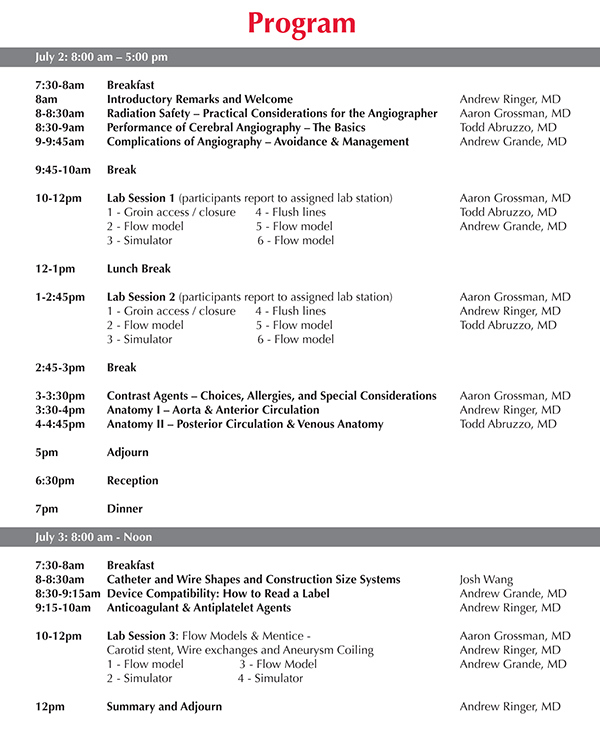 Our event specialists planned this 1.5 day course which is designed to help the junior Endovascular fellow get a jump start on training. 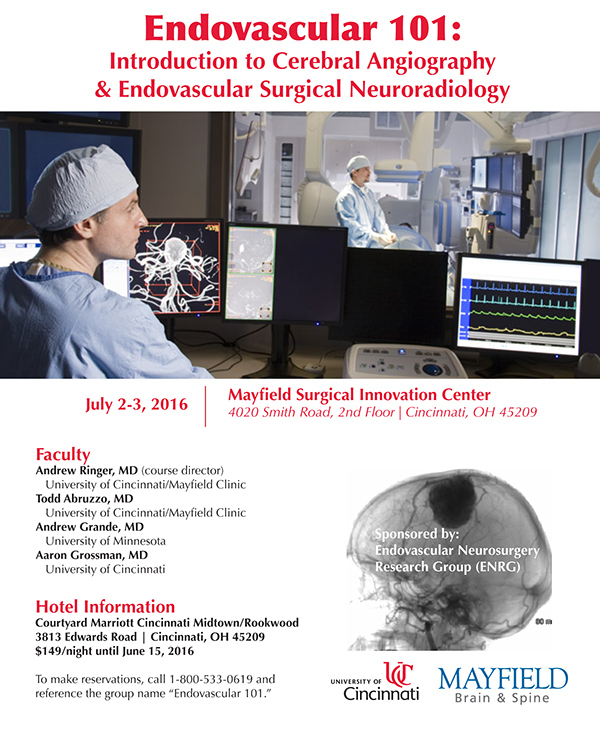 The ideal participant would be a resident or fellow who has little or no experience with angiography. 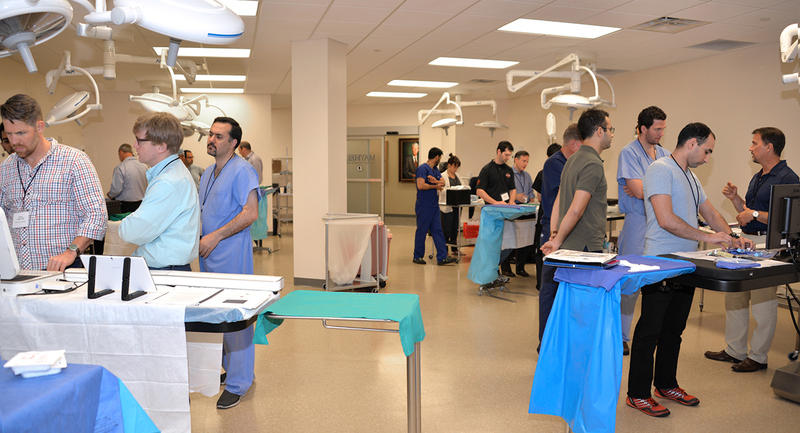 The course covers radiation safety, angiographic anatomy, complication avoidance, groin access and closure, catheter hygiene, flush set up, navigation of the aortic arch, selective catheterization, and catheter or device exchanges over exchange wires using didactic and hands-on training. This will include flow models and 2 digital simulators on which participants may coil an aneurysm and deploy a carotid stent.